Weekly program online or at SPACE Studio? The journey to self-discovery for inner peace and happiness in life and meeting the day to day challenges in life is always thrilling. We meet unwanted guests – stress and suffering daily but there is a way to drop, dissolve and destroy them. The weekly program with teacher, gives our mind an opportunity to explore, educate, learn and experience the change. Why weekly program online or at SPACE Studio? - Manage challenges, pain, and suffering. What is the source of weekly program online or at SPACE Studio? Eastern wisdom is 6000 years old, with more than 3000 teachers, texts and thousands of practices. 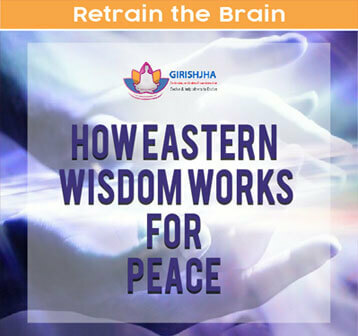 The goal of Eastern wisdom – purification of mind, evolving the mind, awakening to our true nature, inner happiness, creativity, focus and wisdom. All practices based on the integral knowledge of Eastern Wisdom and Science. Who can do weekly program online or at SPACE Studio? Anyone who is desiring inner peace, happiness, managing stress and day to day challenges of life, can do the practice. How to attend weekly program online or at SPACE Studio? Register for the Weekly program. The program online can be attended by downloading the chrome browser and google hangouts. Click the invitation to attend the program is sent to you, it will open the hangouts with audio and video screen. You can communicate with the teacher and attend the program. After the practice, write down the changes and send us feedback. Send your comments, we will do follow up and suggest specific audio files for practice. Please fill in the below request form with required details and we’ll get back to you within 24 hours with all the programs and practices available on request. What are Practices on request – Online / Offline? Everyone has challenges and problems in life – personal, family, professional, social and spiritual. The ignorance in the mind, is the main cause of all sufferings. After careful examination (based on Eastern Wisdom, which is no n medical), the person is given speciated practices for a week to bring about a change in life. Normally the program is given in 10 sessions. - Specialized and customized practice/s range from 10-20-30-45-60 minutes. - Recorded audio file practice sent through email for practice daily. Why Practices on request – Online / Offline? What is the source of Practices on request – Online / Offline? Who can do daily practice? - Anyone who is desiring inner peace, happiness, managing stress and day to day challenges of life, can do the practice. 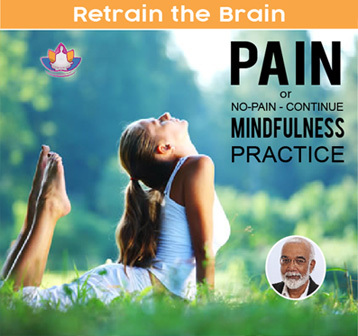 - Anyone who has been suffering from physical, mental, emotional and social problems for longa and searching for lasting solutions. How to attend Practices on request – Online / Offline? Register for the program. We will send you initial self-evaluation(non-medical), registration, waiver and other forms. Send it by filling them by email. In the first session, we will create a rapport and deeper understanding of personalized programs and practices. And we will continue the journey until solution is reached by you. The courses are designed to enrich knowledge and practices from Eastern Wisdom, based on the teachings and texts of great masters. The texts serve as the foundation of principles and practices integrated with scientific understandings. - Eight-fold path of mindfulness. - Duration – option 60 or 80 minutes (each session). -Anyone who is desiring inner peace, happiness, managing stress and day to day challenges of life, can do the practice. -Anyone who has been suffering from physical, mental, emotional and social problems for longa and searching for lasting solutions. How to attend Courses / Continuing Education – Online / Offline? There are more than 300 prerecorded audio files from live sessions. You can choose depending upon your challenges, and desires to change your life from within. Choose one or more from the titles and start practicing. What is the source of daily practices? How to select pre-recorded audio files for practice? Go the page www.girishjha.net or click the link given. Read the main titles of the audio files, click the specific titles of the audio files. Choose the file, download and start practicing for a week. Choose the new file, next week until you are ready for live session with the master.